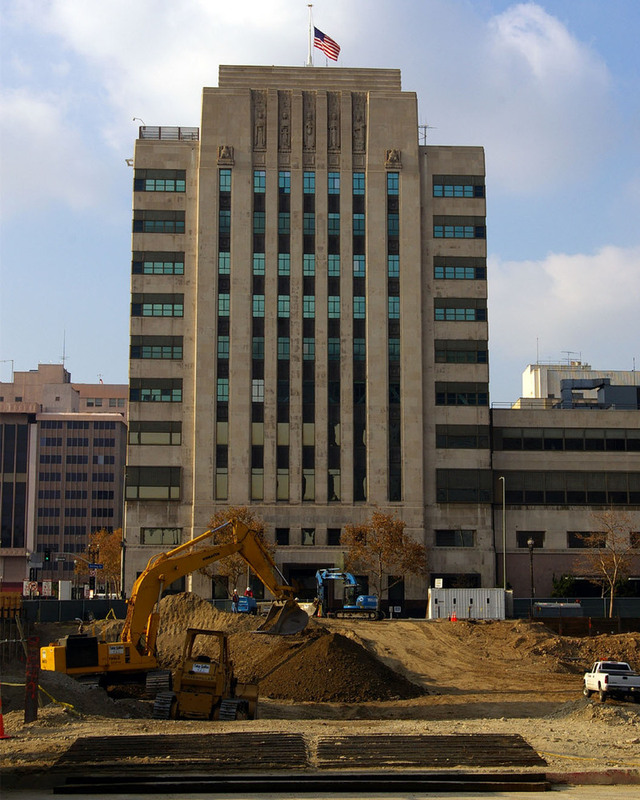 Going Underground Construction begins with a hole in the ground for the new 500,000-square-foot multistory LAPD headquarters downtown. In 2006 this empty block, while inaccessible, gave a feeling of a natural town square with the Los Angeles Times, the south lawn of City Hall designated for public gatherings, the monolithic Caltrans building, the historic Higgins Building and St. Vibiana were all in full view of each other. You wonder if the LAPD's plaza, retail and walkway slated to begin on First Street and cut to the greenspace at Second and Main, may not go as planned as construction costs soar. • Long Beach Hate Crime is covered by LA Weekly. Reporter Kate Coe posts the backstory, and notes she is on KCRW this evening at 7 pm. • Echo Park mourns for a 9 year old girl. • WiFi in Pershing Square is cool, but is the park safe? Blogdowntown readers comment. Photo: LAPD in view of LA Times / View From a Loft. 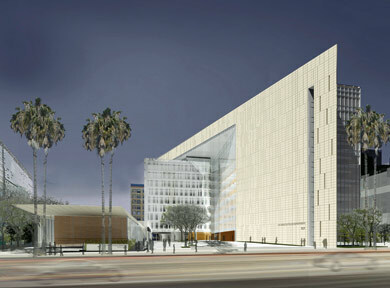 Rendering: LAPD Headquarters / "The Architect's Newspaper"